Q. Can I change my music festival date without penalty? Yes, based on availability, date changes can be made until 45 days before your festival performance. Q. Do I need to have my exact numbers when I apply? No, however, the number on your registration helps us determine the largest performing group so enough equipment will be provided at the performance site. Q. Can I use a travel company? Yes, we have a long history of working with all travel companies. When you apply, let us know which travel company you are working with. Q. Do you include transportation? No, however, there are many excellent tour operators who can help you with booking transportation.  If you are interested in working with a tour operator, the Student Youth Travel Association is a great resource. Q. Is there a registration fee to sign up for a festival? A $100, non-refundable, registration fee is required for each ensemble to participate in OrlandoFest. Registration is not complete until the fee has been received. Q. Can I print out a registration form to apply? No. Please complete our online registration form. Q. If a student is in more than one ensemble, do they have to pay twice? Absolutely not. Your invoice will reflect the total number of students and the total number of adults attending OrlandoFest. Q. If I have five performing groups (concert band, jazz ensemble, orchestra, choir, and marching) will all of the directors travel FREE? Q. If a meal/park admission is involved with the festival package, can we choose not to take it? We do not offer a “festival only” option. A park ticket is required to attend the Awards Ceremony. Q. My group MUST perform in the morning. Can you guarantee this? Unfortunately, we cannot guarantee specific performance times, but we will do our best to accommodate your request. We take registration date into account when creating schedules, so Register early! Q. Can you guarantee we’ll have competition at the festival? Yes. We have a Grand Champion awarded each weekend, which allows us to always have a competition. There may not be a competition within your specific division based on the groups applying for each weekend. Q. We’d like to participate in a “street” parade — is this possible? For competing parade bands, our parade band adjudication is held at Universal Studios™ on Friday mornings. 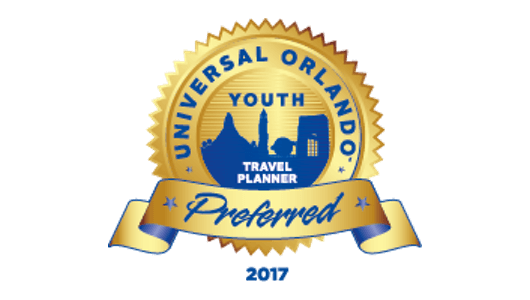 You may also add a non-competitive parade march by requesting a Universal Stars performance in addition to your OrlandoFest performance. Please Contact the OrlandoFest team for further information. Q. We’re a middle school group. Do many middle schools sign up for OrlandoFest? We have many middle school/junior high school groups that travel to participate in OrlandoFest. We offer both a non-competitive and competitive music festival performance, plus we offer our Performance Workshops. Q. How do I decide which classification best fits my group? Please review our Festival Directors Manual for details regarding Category, Classification, and Division. Q. How do I determine the grade level of music my group is performing? You may check any state listing; call the publisher of the piece or contact your local music store to determine the grade level of your music. Q. Where does the OrlandoFest Awards Ceremony take place? The OrlandoFest Awards Ceremony will be held at Universal’s Islands of Adventure™. Alternate Awards Ceremony is possible if the festival weekend minimum required number of participants. Q. When does the OrlandoFest Awards Ceremony take place? The OrlandoFest Awards Ceremony is held each Saturday evening during the scheduled OrlandoFest dates as long as there are at least 400 participants that weekend. Q. Do we really need to attend the Awards Ceremony? It is highly recommended that you attend the awards ceremony to be presented with your Awards and Adjudication Results Packet. Additional fees may be required to ship trophies to each groups school for those who do not attend unless prior arrangements are made. Q. Do we need to use our Universal park admission to the OrlandoFest Awards Ceremony? Q. Can Universal Orlando Resort™ store our awards after the awards ceremony? Our Awards Ceremony occurs at the end of the Universal’s hours, after which you will be heading to the bus directly. Q. Do you have reserved seating at the awards ceremony? In most cases, we do not have reserved seating. Groups are free to sit wherever they wish. The OrlandoFest Awards Ceremony is held in a covered location and will take place at its scheduled time and location. However, if the weather threatens your safety, the OrlandoFest staff has the right to cancel the awards ceremony and distribute awards and score sheets to the directors. Q. If we need to leave the park/attraction before the awards ceremony, what do we do? Please notify our OrlandoFest team that you will not be attending the awards ceremony. Depending on your departure time, special arrangements may be able to pick up your awards and judges’ score sheets before you depart for home. Q. Do all groups receive an award? YES, each group is guaranteed their Rating Award as well as other awards where applicable. OrlandoFest has secured state-of-the-art performing arts centers at several local Orlando high schools located in close proximity to Universal Orlando™ Resort. Q. Can the performance venue site provide a pre-planned lunch/dinner for my group? OrlandoFest has the capability to order lunch/dinner, however, arrangements must be made in advance. Please contact the OrlandoFest team or your travel planner to make arrangements. Q. Do you supply platform risers and monitors for show choir groups? No. Please refer to our Festival Directors Manual for a full list of provided equipment. Q. What equipment is provided for our performance? Please see our Festival Directors Manual for a full list of provided equipment. No. Most performance venues do not have changing facilities available beyond public restrooms. If facilities are required, please contact the OrlandoFest Team to make arrangements. Q. How will I be adjudicated? A copy of the OrlandoFest Adjudication Sheets can be downloaded by clicking here. Q. Can I change from “Non-Competitive” to “competition,” from class “A” to class “AA,” etc.? Yes. Changes must be made in writing and may be made up until 30 days from your festival date. Q. May I photocopy music and/or scores? Photocopying is illegal. Please review our Festival Directors Manual for additional information. Q. Do I need a score for my warm-up piece? No, scores are only required for adjudicated selections. Q. Can our choir use taped accompaniment? Yes. Recorded instrumental accompaniments (with no backup vocals) are permitted. Music tracks should be professionally recorded on Audio CD. Q. Do we have to take the clinic session and if we don’t, does this count against us? No. The clinic session is not mandatory — just notify the OrlandoFest festival director that you would not be interested in doing this. There is no penalty for groups deciding not to participate in the clinic session. Q. Do you have a required music list? No. The director has the sole discretion in selecting music that they feel is appropriate for their students. Parade Bands ONLY: Specific branded music (such as Universal Studios branded music, Disney branded music, Harry Potter branded music, etc.) will not be permitted. Q. Do you have suggestions on resources for festival etiquette? For some suggestions, the National Association for Music Education (NAfME) website is a great place to start. Q. Is there a limit to the number of performing groups I can bring to the festival? No. You may bring as many ensembles as you would like. Q. What happens if we get lost or we are late for our adjudication time? Don’t panic — As long as you contact the OrlandoFest team to inform them that you will be late, our staff will do everything possible to place you in a later time slot. Q. Does OrlandoFest provide accompanists for choral groups? We do not provide accompanists, however, we can provide a list of local accompanists for you. Q. How many scores do I need to bring? You will need to bring three original scores for each adjudicated selection. Measures must be numbered on each score. Q. Can we videotape our performance or take pictures during the performance? Videotaping of live performances is not permitted by copyright laws. We also ask for you to refrain from taking flash photography during the performance. Q. When is full payment due for our OrlandoFest performance? A non-refundable registration fee of $100 per ensemble per ensemble is due upon registration. Q. What if my numbers drop the week of the festival competition — do we receive a refund? Refunds will be made for individual cancellations only if received, in writing, before the final count deadline (30 days before the festival competition). However, if you are using a travel planner, other cancellation penalties may apply. You should refer to the travel planner’s cancellation policy for details. No refund will be issued for individual cancellations within thirty (30) days of your festival weekend. Refunds will be sent 4-6 weeks following your festival competition date. Q. When do you need our final numbers for the festival competition? Final numbers are due 30 days prior to the date of your festival competition. Q. Do you carry insurance on each student participant? OrlandoFest is fully insured for our festival competition, awards ceremony, and performance workshops. Additional student insurance is, in most cases, at the discretion of your school administration. If additional insurance is deemed necessary, school officials or your tour operator can generally provide a more economical rate.